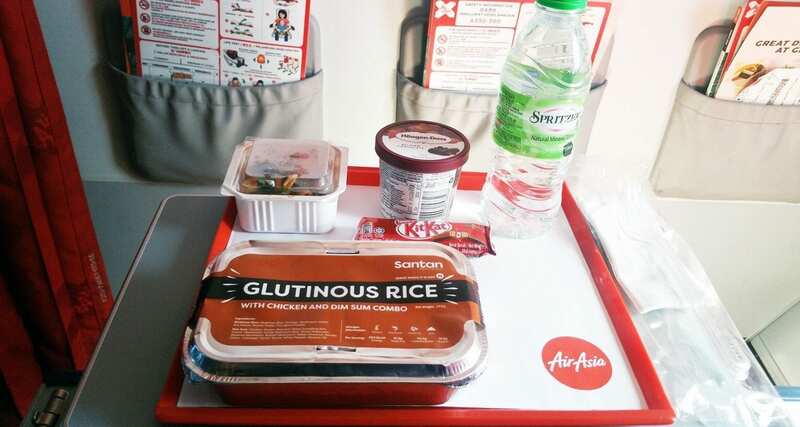 AirAsia recently got in touch with me to see if I was interested in taste testing their latest airline meals. I was more than happy to oblige, and they provided me with a sponsored airline ticket in return for this post. 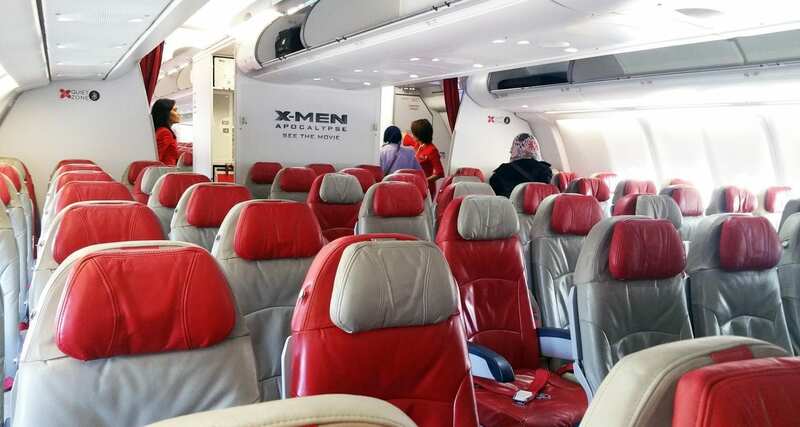 I flew from Melbourne to Kuala Lumpur onboard the AirAsia X A330 service that runs twice daily from Melbourne. 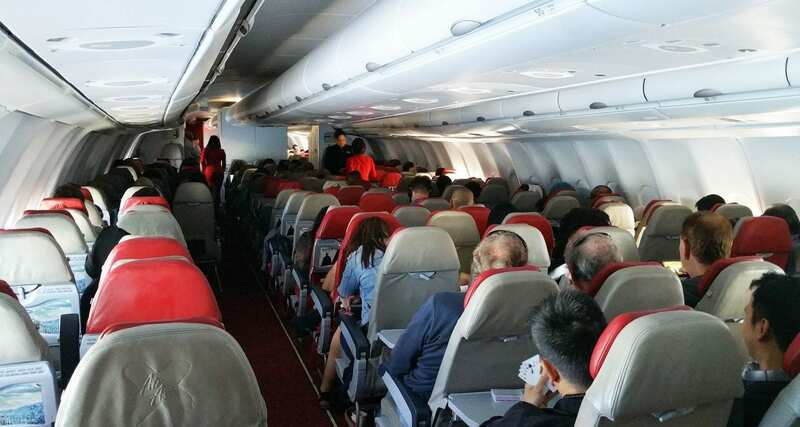 I’ve flown AirAsia a few times, and before this experience, I flew with the Indonesian subsidiary in 2016 and I flew with the Malaysian arm of the business back in 2014. 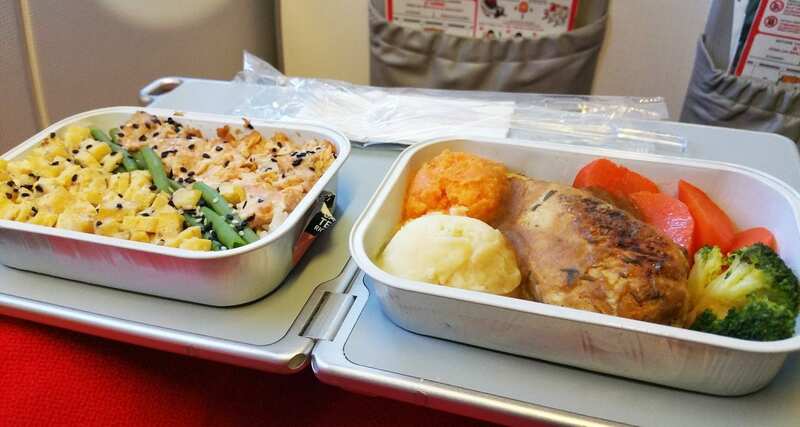 Both experiences were good, there were a few things that I didn’t like about the meals, but having just flown them again a lot has changed, which is great to see. The airline looked after me, and gave me a front row seat in the economy class cabin, I was able to use the Xpress boarding service and managed to take this photo before everyone else boarded. 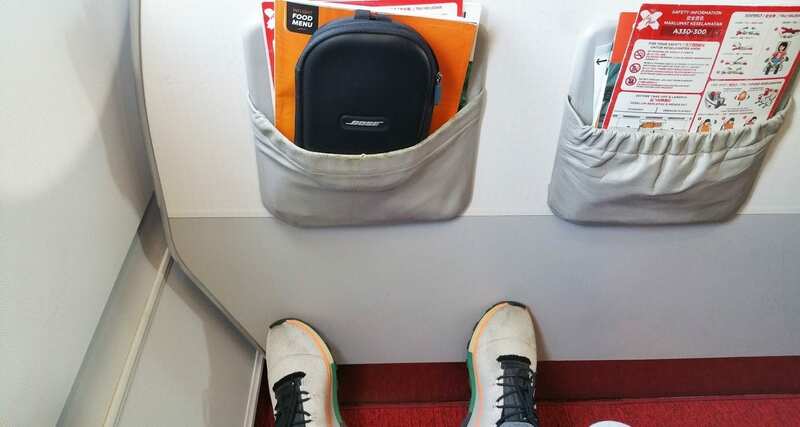 The airline also offers a premium flatbed cabin on this flight which includes a host of other services and additions; you can read more about that right here. 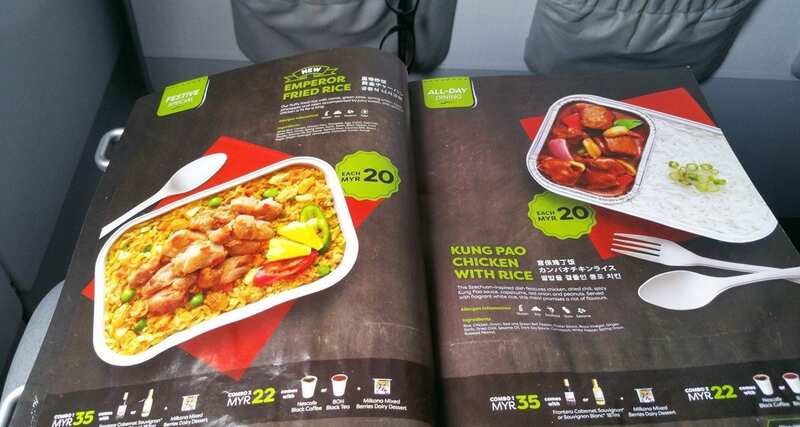 First up, the menu and how it all works on AirAsia X. 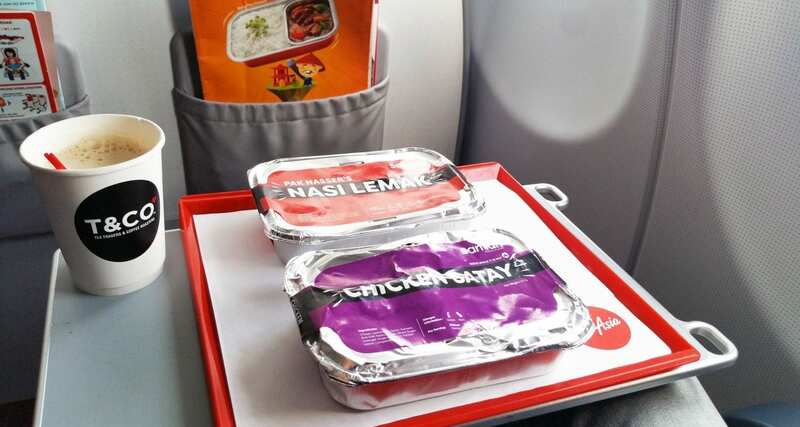 Passengers can pre-order meals up to 24 hours before departure and the meals start at only MYR15 which is about $4.95! The Santan menu (A Malay term for rich and luxurious coconut milk) is well priced indeed. For an additional fee, you can upgrade your meal further and receive a Häagen-Dazs ice-cream plus a Kit Kat and pasta entree. For the entire AirAsia network meal information head here. A coconut rice dish served with Pak Nasser’s chilli sambal chicken rendang, with fried anchovies, groundnuts and egg. Grilled chicken skewers peanut sauce and pressed rice. Chicken and prawn dumplings with bean curd pockets made even tastier when paired with chicken glutinous rice. Lasagna with layers of chicken, tomato sauce, cream sauce, pasta and shredded cheese, served with vegetables. Grilled minced salmon in sweet and savoury teriyaki sauce with diced omelette and french beans served with Japanese rice. Combination of marinated roasted chicken with minced chicken stuffing served with a mushroom tarragon sauce, mashed potatoes and sweet potatoes as well as buttered vegetables. If you forget to pre-order you can make purchases inflight, most credit cards are accepted as well as cash. If you pay by cash, the crew will give you back change in MYR though, so keep that in mind if you are flying home and have no use for the currency. The bonus for pre-ordering online is that you get served first and also receive a discount. The first meal, Glutinous Rice. 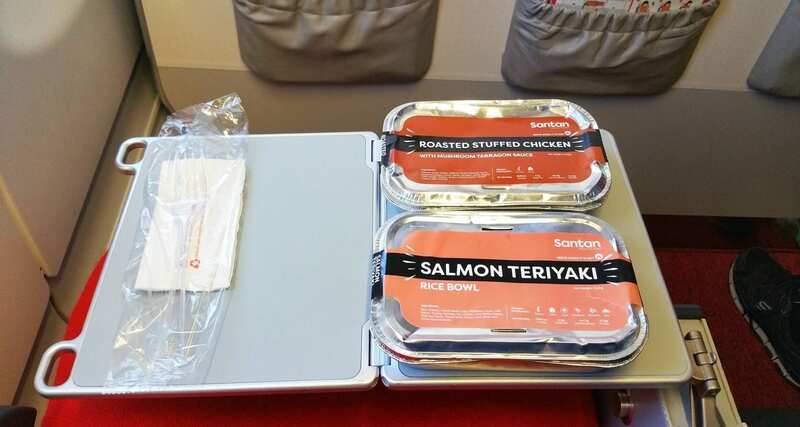 I was surprised to see meal trays in economy class on AirAsia, and a few people commented on this on my Instagram page. This was a sponsored flight, so the crew did take extra care of me. The above set up is what you would receive if you flew in their flatbed class. My first meal was quite tasty, and I enjoyed the dim sum too. The rice was delicious and not dry at all, and the dim sum was very flavorful and most importantly not dry at all. The entree pasta was very fresh, and the ice cream was a great treat to finish the meal with. After the meal, I went down to the back of the aircraft to check out what was happening and also took a quick shot of the cabin. The total flight time to KL was about 7.5 hours, and I had forgotten to pre-order a tablet to watch movies, so the flight was a little tedious. It wasn’t too long before the next service started a few hours before landing in KL, this time I would be sampling two meals at the same time. Out of all the meals I sampled, I think these two were my favourites: Malay chicken satay and the famed Nasi Lemak. I sampled the Nasi Lemak before in 2014, and it wasn’t that great. The current Santan range which was launched in 2015 is a lot better than the previous meals I sampled, a vast improvement. The chicken satay was delicious, and I loved the satay sauce, very flavoursome indeed, I would have asked for more if I could. The Nasi Lemak was also excellent, the rice was fluffy, and overall the meal was great, not too spicy for me and tasty. This meal has improved so much, it looked so much better than the previous version that I tried in 2014, and tasted much better. I spent the entire weekend eating in KL, and the return flight home was also no different. Again the airline looked after me and gave me a great seat and provided lots of meals for me to sample. First up was the Chicken Lasagna served with a chocolate walnut muffin and water. 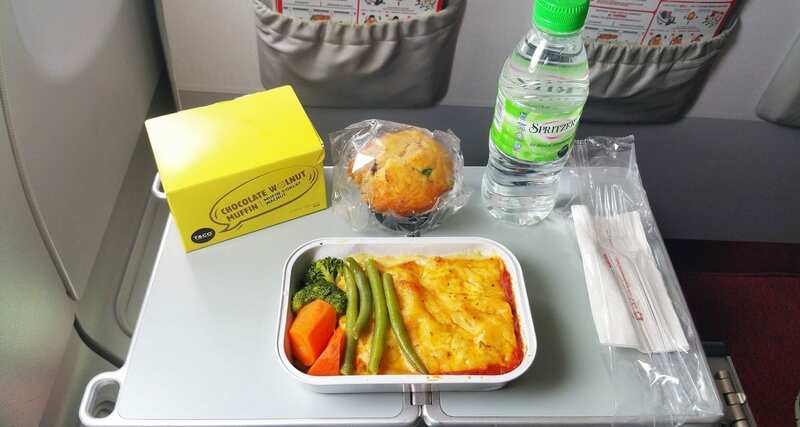 I’m always sceptical of lasagna or pasta dishes on planes, but this meal worked well. The lasagna sheets were not dry at all, the tomato sauce was delicious, and I liked their spin on a traditional Italian dish. The meal was quite filling, and I’m glad that I didn’t have another meal to sample right away. The muffin was great too, not dry at all and quite good. A few hours before landing the crew came through the cabin to offer the next lot of meals, I asked if they could delay my meals as I was still quite full from the lasagna. Meal service number two, KL to Melbourne. 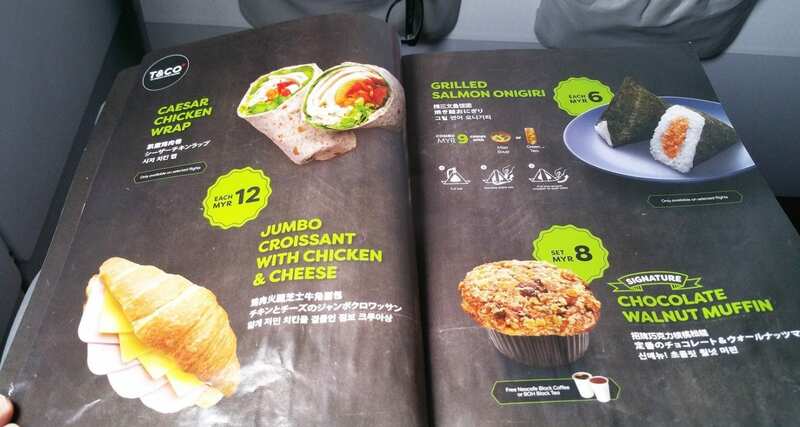 Out of these meals, my favourite was the Chicken dish; I found the Salmon Teriyaki to be a little bland. I couldn’t taste the Teriyaki and felt as though the meal was missing something. The chicken, on the other hand, was excellent, it reminded me of flavours from a Sunday roast. The tarragon based sauce for the chicken was spot on, the vegetables weren’t too overcooked, and while I’m not a huge fan of stuffing, it also was delicious. Overall I enjoyed my experience with AirAsia and wouldn’t hesitate to fly with them in the future. My favourite dishes were, in fact, the locally inspired dishes of Nasi Lemak and the Chicken Satay, I highly recommend these meals! While the crew knew I was onboard (so I can’t comment on the service) I did observe them being very friendly/helpful and attentive with other passengers though. 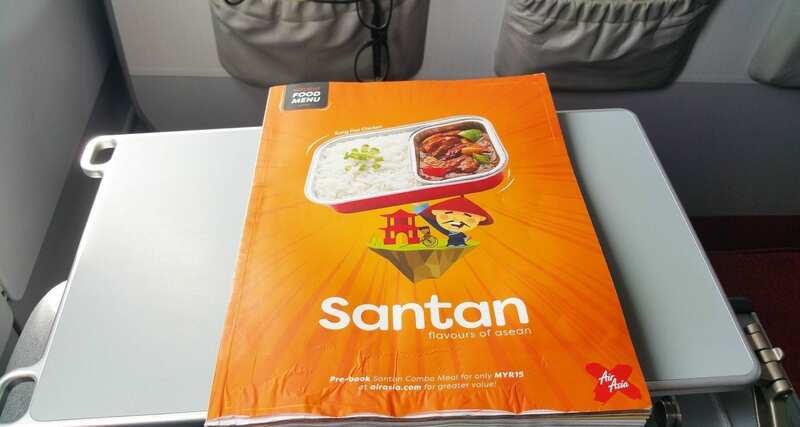 A big thanks to AirAsia and their marketing team for collaborating with Inflight Feed.